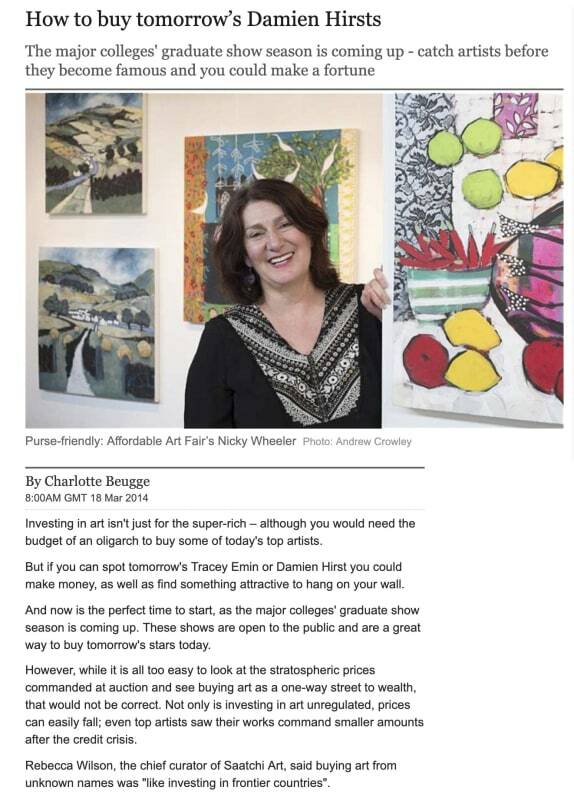 Investing in art isn't just for the super-rich - although you would need the budget of an oligarch to buy some of today's top artists. 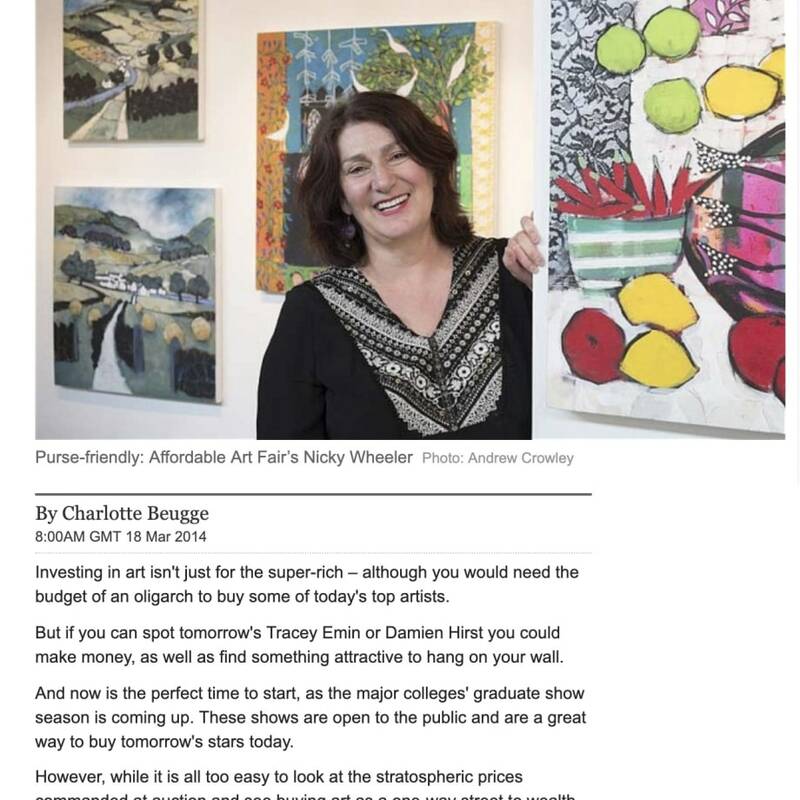 But if you can spot tomorrow's Tracey Emin or Damien Hirst you could make money, as well as find something attractive to hang on your wall. And now is the perfect time to start, as the major colleges' graduate show season is coming up. These shows are open to the public and are a great way to buy tomorrow's stars today. However, while it is all too easy to look at the stratospheric prices commanded at auction and see buying art as a one-way street to wealth, that would not be correct. Not only is investing in art unregulated, prices can easily fall; even top artists saw their works command smaller amounts after the credit crisis. Rebecca Wilson, the chief curator of Saatchi Art, said buying art from unknown names was "like investing in frontier countries". "You stand a chance of making money but it's always best to buy a work you love. If it makes you happy then that's a good investment too," she said. But who should you buy - and how much can you expect to make? "You could invest £500,000 in a big name in contemporary art and it is almost guaranteed to go up in value," said Ms Wilson. "But if you are going in at the entry level and trying to find tomorrow's stars it's much more exciting." A bit of research into an artist will help. Don't buy a piece in isolation: look at other work they have done. You should be able to see if they have a particular look that makes their pieces easily identifiable. If their pieces look as if they could have been painted by many different artists, it suggests they have yet to find their defined style. You also need to look at the materials used, as good-quality canvasses and paints mean a piece will look better for longer. It's also worth finding out whether their pieces are in collections (either private and gallery) and whether the artist has won or been shortlisted for highly regarded prizes such as the Catlin, John Moores, BP Portrait or Threadneedle, all of which will increase the prices they can command. What about a name for the future? "I think Tahnee Lonsdale is a tip for the top," Ms Wilson said. "You can already see big things happening to her - she's commanding higher prices now than just six months ago." Her other favourites include George Sampsonidis and the "incredibly promising" Elysia Byrd.